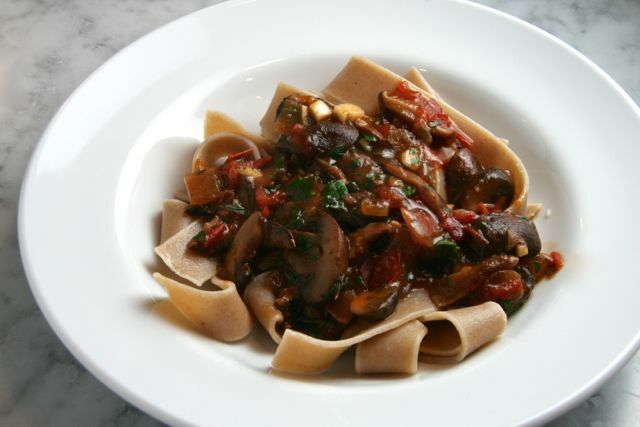 This is a delicious and intensely flavorful vegetarian stew- hearty when served over pasta or polenta as well. 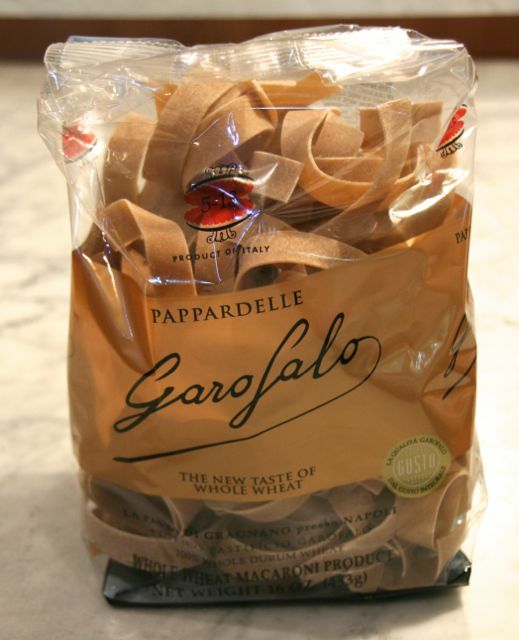 We ate it over whole wheat pappardelle but I think I would have preferred it over polenta. Next time! 🙂 This recipe was adapted from The New York Times, contributed by David Tanis. I used the leftover wild mushroom broth in a Broccoli Spinach Puree- yum. I am bringing this earthy and elegant dish to share with my friends at Fiesta Friday #45 at the Novice Gardener. Enjoy! Add 1 more tablespoon oil and turn heat to high. 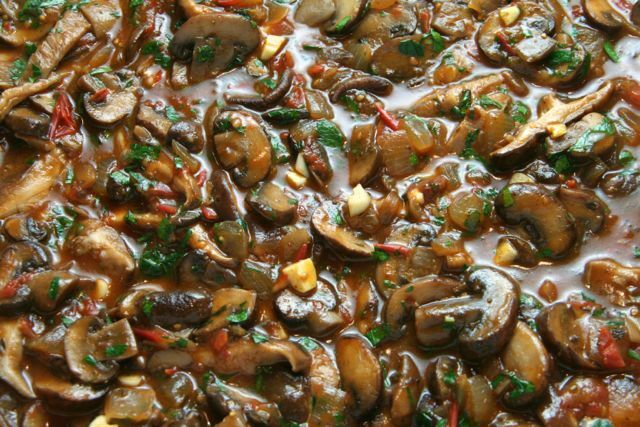 Add brown mushrooms (I added all of my mushrooms because I used shiitakes instead of pale wild mushrooms. ), season lightly and stir-fry until nicely colored, about 3 minutes. Lower heat to medium. Add thyme, sage, red pepper and tomato paste. Add tomatoes, stir well, and cook for 1 minute. Season again with salt and pepper. Sprinkle with 1 tablespoon flour, stir to incorporate and cook for 1 minute more. Stir in reserved onions. If using pale wild mushrooms: Just before serving, put butter and 1 tablespoon olive in wide skillet over medium high heat. When butter begins to brown, add chanterelles, season with salt and pepper, and sauté for about 2 minutes, until cooked through and beginning to brown. To finish the dish: Add garlic and parsley, stir to coat and cook 1 minute more. 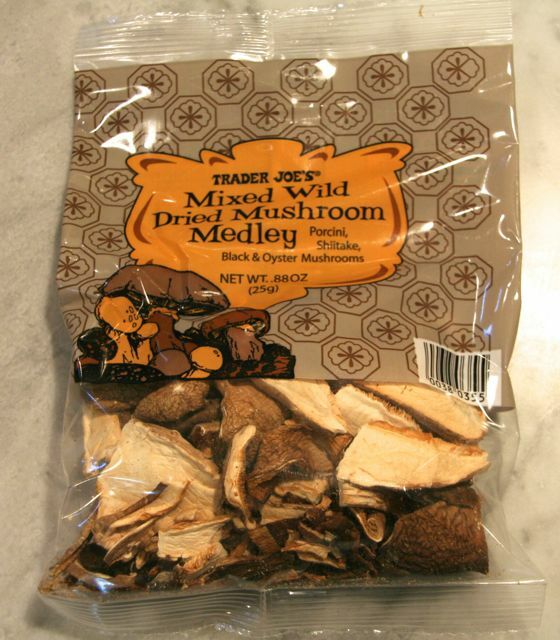 Add chanterelles, if using, to brown mushroom mixture and transfer to a warm serving bowl. Accompany with polenta or pasta if you wish. Put all ingredients in a sauce pan. Cover with 4 cups water and bring to a boil. Reduce heat and simmer for 30 minutes. Strain. Broth may be made in advance and will keep a week, refrigerated. This looks fabulous! I make a really tasty millet “cake”, and this would be just perfect on top of it! This is just fantastic! Earthy and elegant! Thanks so much, Sonal. 🙂 Vegetarian comfort food! Or you could serve both polenta AND pappardelle 🙂 (two of my favorite things) This stew looks absolutely delicious – what a wonderful winter meal! Thanks so much for bringing it to Fiesta Friday! I just love mushrooms! I think this stew and a little cheesy polenta would be divine! My goodness that looks delicious. 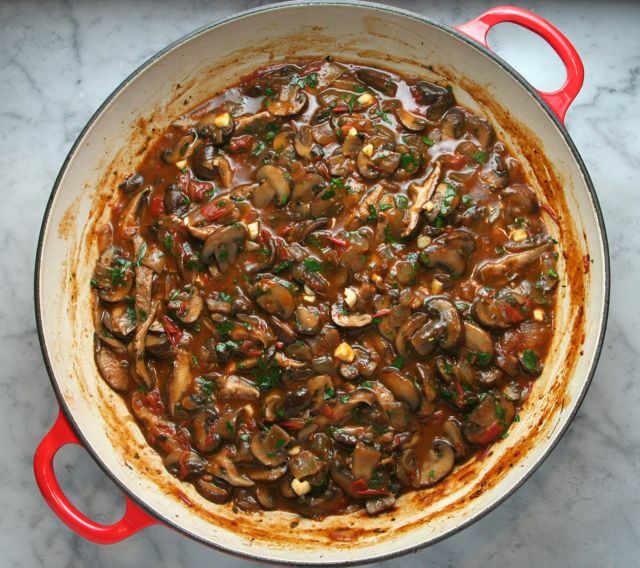 Love mushrooms.Perfect cold weather meal, a glass of wine and this and I’m set. Wonderful. Wonderful! Thank you so much 🙂 Happy FF! This looks seriously fantastic. I’m looking forward to trying it. Wonderful post! This looks fantastic!!! I may add a meat componant to this recipe! I cant’ wait to try it!